Distinguish Enterprises was established to provide you with professional, timely and safe ground transportation, 24 hours a day, 7 days a week (with advanced reservation). We only use brand new cars, properly insured and licensed by the City of Nassau. Our chauffeurs are knowledgeable of all points of interest such as places of business, restaurants, resorts and other attractions. 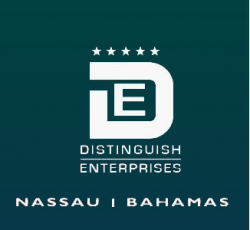 We welcome you to Distinguish Enterprise and we look forward to more opportunities to earn your business. You work hard to stay ahead of your competitors. Distinguish Enterprises works with you to make sure that it stays that way. All Distinguish Enterprises Drivers sign a confidential agreement what goes on in the Vehicle, stays in the Vehicle, protecting your privacy and investments.